PHUKET: Lifeguards station at Patong Beach have today (Oct 4) confirmed that four tourist have been stung by jellyfish at various locations along the beach. Lifeguards administered first aid including washing the stings with vinegar before rescue workers from Patong Municipality transferred them to Patong Hospital. 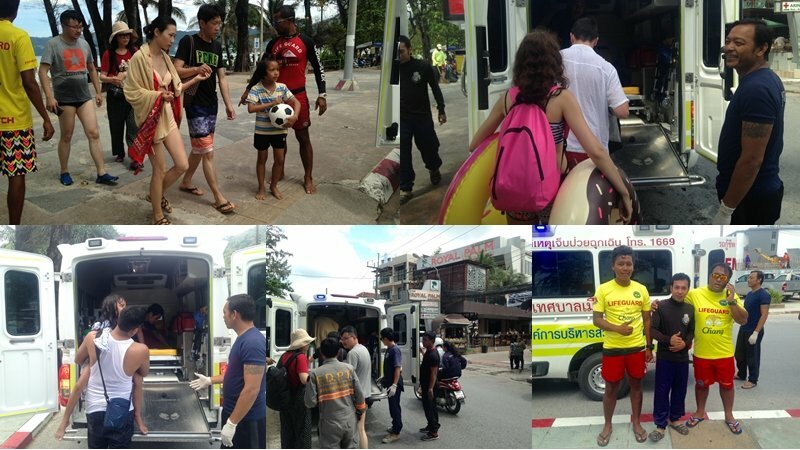 Chief lifeguard of the Phuket Lifeguard Service (PLS) Somprasong Saengchat, who serves as chief lifeguard at Patong Beach, said, "Each tourist was stung close to the shore. There are many jellyfish during this time as it is the monsoon season. However, monsoon season will soon finish and it will be summer and the jellyfish will be gone." Useless to put any warning signs there. They get ignored same as the red no swimming signs.